Edniesha is one of those rare but lucky retired professional athletes who still has the opportunity to enjoy what's she's skilled at. She travels the world, mentors and trains young people through her company, Coach Eddie. In an interview with Women For Action, she shares a bit about her troubled young past, recovering from what she calls “the No Hope Zone” and living life fully, separate from being “the athlete” she is well known for. 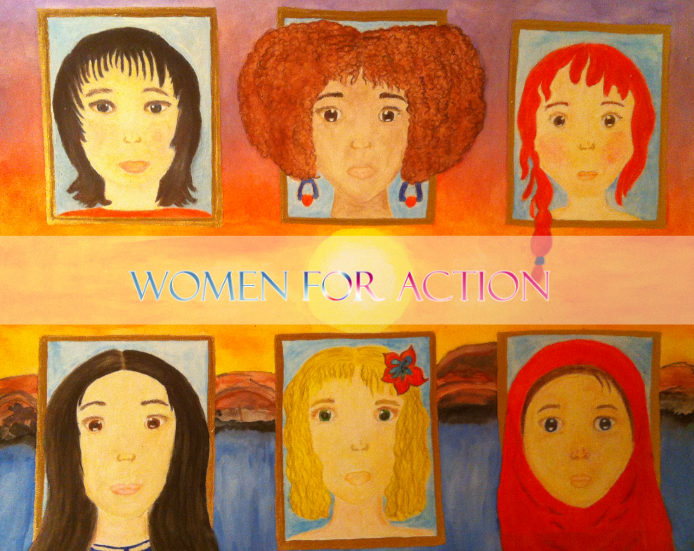 Women For Action: Edniesha, tell us a bit about you, your background and what led to an interest in basketball? Edniesha Curry: I was born with a special purpose on July 9, 1979 - to be a basketball player. I competed for 26 years which were some great years of my life, winning championships, collecting accolades and playing in some of the greatest arenas with some of the best women basketball players around the world. Yet while playing basketball, I knew that I wanted to make more of a contribution to the world, than just playing the game. With this thought always in the back of my mind, I decided to step away from a mission to win games and step into my purpose. God gave me a gift and I wanted to make sure that I used that gift to help others as someone once did for me. My new journey has taken me into some of the toughest neighborhoods all around the world telling my story, because when I was a young girl, I was cast off as a child with a bad attitude with no HOPE. I hope to use my voice and skills to continue to empower young people all over the world in the NO HOPE ZONES of the world. When it is all said and done, I want my tombstone to read “HOPE” because that is what I plan to do by "Changing Lives 1 Dribble at a Time”. Women For Action: You played for the WNBA and professionally overseas. What was that like and how did this differ from playing in the United States? 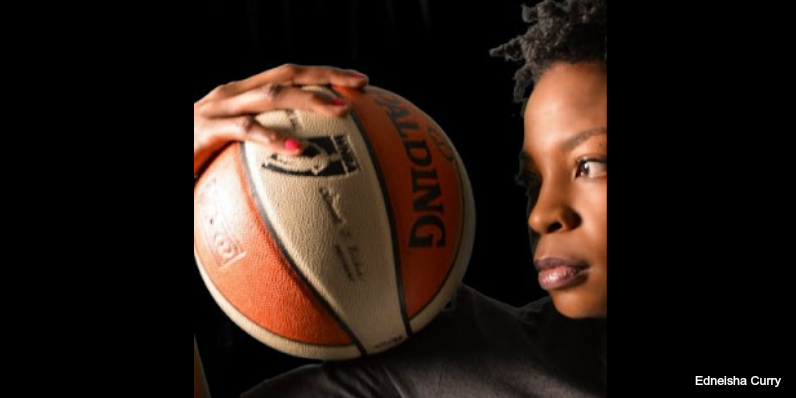 Edniesha Curry: Yes, I have been blessed to play both in the WNBA and overseas and honestly the only difference is the seasons last longer abroad and of course you have to get used to the cultural differences, but for some reason, [the game of] basketball unites [people]. The big difference in the WNBA is the accommodations and level of play - I mean in Europe, a team may have a couple players while in the WNBA, you are playing with all Americans and Olympians; teams play the best all over the world, in practice and during games and at world class professional facilities. Additionally, world-class coaching and support staff are available for athletes. I could never forget my first year abroad when I had to learn how to tape my own ankles because the team did not have a trainer. But I would not change any of the experiences because they all grew me in areas where I needed to become successful after playing. 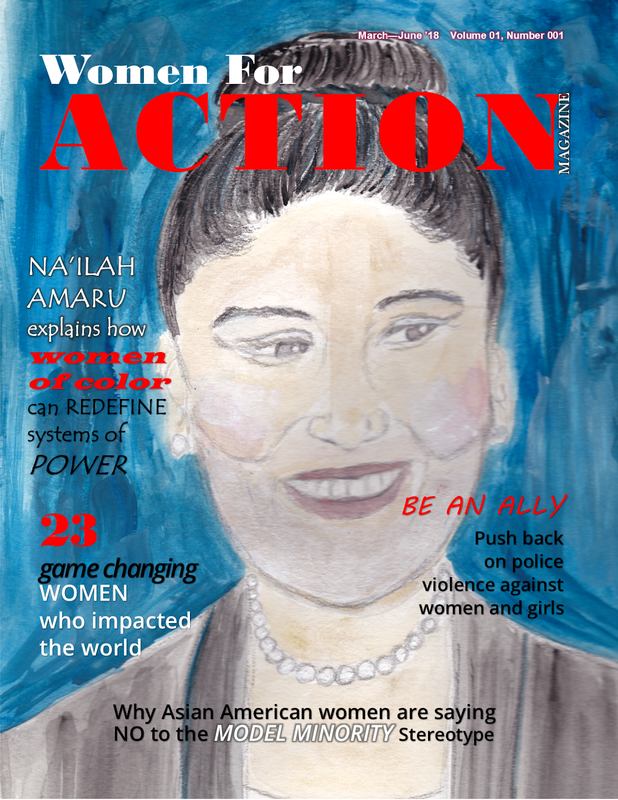 Women For Action: What led to your departure from playing professional basketball? Edniesha Curry: It had become a task and my passion for working out for hours in the gym was just not there anymore. However, while playing professional basketball, I maintained a focus on preparing for life after basketball. I never wanted to play until I could not barely walk which happens to a lot of professional athletes. I felt I had a lot more to offer than wearing the title, “Edniesha the basketball player”. Women For Action: You also have an enterprise called Coach Eddie basketball. Tell us about the mission and vision. Why did you choose this path over coaching for an amateur or professional league? Edniesha Curry: Well Coach Eddie basketball actually allows me to do both, coach professionally and at the amateur level. Last year I spent the season with the professional club Shanxi Flames developing their junior women's team and now I am currently in Vietnam helping with grassroots basketball here. Coach Eddie basketball gives me a universal platform which enables me to coach all over the world. Women For Action: What sort of projects is Coach Eddie currently working on? Edniesha Curry: Well in 2016, I am looking to develop basketball skill development books and launch basketball training videos. 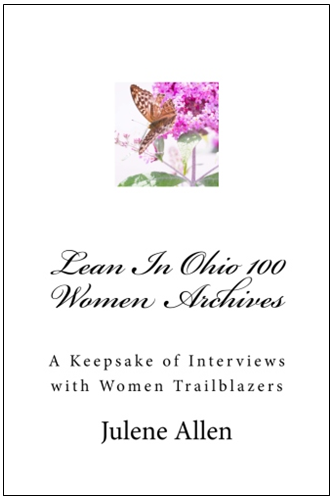 Women For Action: If any, what obstacles have you faced as a woman throughout your career? Do you feel there are any disadvantages in the sport for women in color? If so, tell us about them. Edniesha Curry: It is like any other male-dominated field, women are faced with the usual obstacles, and yes, I do feel as a woman of color there is a huge disadvantage. There aren’t many opportunities being provided for us. At the pro and college level, to showcase our professional skills, even though we dominate on the court as athletes, we face the same set of obstacles when confronted by board rooms, war rooms, and sports organizations. It is a constant struggle to prove that we can coach as well as work within the elite pro and collegiate programs. Women For Action: According to a New York Times article, “Val Ackerman, a former president of USA Basketball, the sport’s governing body, and the W.N.B.A. — and a three-time captain of her college squad before playing pro ball in Europe — is among those who have made the case for a lower rim in women’s basketball.” What do you think about lowering the rim? Edniesha Curry: I am not a fan of lowering the rim at all. I think it will shift to a game that’s based on theatrics and take away the skill and fundamental purity that you often see in women’s basketball. I think keeping the rim at its current level challenges women to get out of their comfort zones by adopting some of the same standards as men; as you are starting to see more women and girls accomplishing it. I enjoy watching the skill of the women’s game, something that I feel is lacking in men’s basketball which appears to be more about showmanship- being able to perform elaborate dunks and playing just above the rim. This limits the game. Edniesha Curry: Yes. I plan to coach college ball, possibly for the WNBA and work on writing a personal book about the journey of my life. Women For Action: What career achievement/s are you most proud of? Edniesha Curry: I am most proud of graduating from college and grad school because that showed my siblings that it doesn’t matter where you grow up; you can be anything that you want to be in this world if you just believe in yourself. 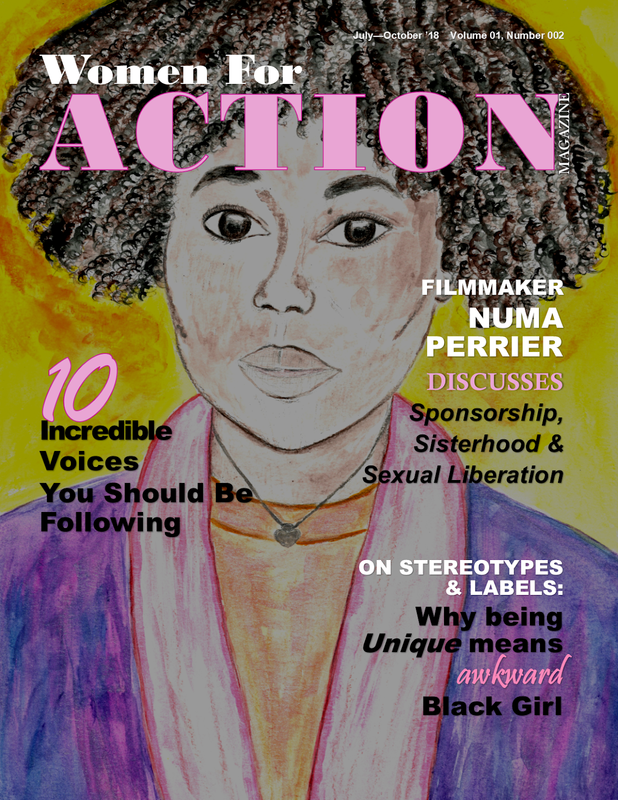 Women For Action: What advice would you lend to a young girl that is interested in following in your footsteps? Edniesha Curry: Don’t ever, ever GIVE UP. Study legends, find a circle of mentors that will grow and stretch you out of your comfort zones. Study, study and study even more. It is more important to continue to evolve and grow in this career because what may exist in one season may not exist in the next. I spend countless hours studying and perfecting my craft as a coach, teacher and mentor of the game, always finding ways to stand out and be different. I always have to think how I can stand out in a crowded room. Women For Action: Is there anything we left out that you would like the Women For Action audience to know about you? We were all born to live a life worthy of happiness, success, joy and love. We are worthy and do not let anyone tell you that you are less because of where you live and what you currently have. Hold your head high and understand that you are more than the environment you come from, it’s just the beginning of your book, not the end. Don't let anyone silence your voice, you are powerful, you are smart and you are worthy.